When I list items for sale on eBay, I use a custom-developed HTML template with the item's pictures uploaded externally and embedded into the description for more visual appeal than what eBay provides. This allows me to apply custom styles to the images via CSS, provide descriptive content below specific images and generally offers a lot more flexibility and professionalism. By default, eBay allows you to upload up to 12 images for free to be included in the ad, and requires uploading at least one image through their service to be displayed in the auction results and so forth. The images uploaded in this manner appear at the very top of the auction page alongside the auction metadata. These eBay-hosted pictures are scaled to 500x375px regardless of the user's screen resolution, with an option to view larger versions by clicking/hovering over them. An example eBay ad depicting the fixed image resolution and placement using the default eBay image hosting. This layout is convenient for when users first visit an auction or when there is not a lot of descriptive content needed, as all the information the user needs is right up at the top without needing to scroll. The functionality of the image slideshow and enlarging has also improved substantially over the years from when eBay first started offering free image hosting. I want to also emphasize, before describing my automated method of image processing and hosting, that it is still essential to use eBay's own image hosting service alongside your own (for up to 12 images) so that you can still embrace their free top-of-the-page slideshow. Take the photographs of the item you wish to list on a digital camera. Transfer the pictures to your computer using a card reader, direct connect or via WiFi on supported cameras. Open the images in a photo editor and resize them to reduce file size and load time. Enhance each image by adjusting brightness, levels etc. Re-save the optimized images, renaming them as needed. Connect to an FTP server or file host via a third party application. Upload all of the auction item pictures to the remote server. Add custom HTML tags for each image within your auction description, specifying the full URL and image names accordingly. I hate needless repetition and boring tasks. With that in mind, I set out to create a completely automated system of transferring, resizing, enhancing, saving, uploading and embedding images into a custom HTML document. Essentially, I wanted to be able to perform steps #2 through #8 above with a single click after inserting my camera's memory card into my computer. The end result is a batch file that does exactly that! To successfully use my automated script provided below, a few basic requirements need to be in place. You must have a memory card reader for transferring your camera's photos (direct connect would also work, but WiFi will not). You must have an external FTP server/host available for transferring the images to (e.g., ftp.example.com) and know the login credentials. You must have the ImageMagick command-line tools installed and available to the system (see below). You should transfer the photos via this script on a per-item basis (i.e., after taking a set of photos for one specific item). To apply image enhancements and resizing as part of the automated process, I embrace the free, cross-platform library ImageMagick. This set of tools enables you to perform any number of programmatic operations on as many images as needed from a command-line interface, in a very efficient manner. To install the necessary components, head on over to the Binary Releases page of the ImageMagick website and review the instructions for your particular platform. Note that I wrote my script to run on Windows as a standard batch file, so if you are using another operating system you will have to revise the script accordingly using commands available to that platform. 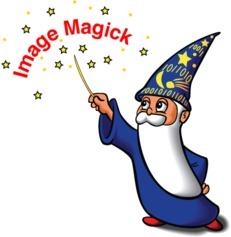 For Windows, there are a number of ImageMagick binary packages available. You will want to get the one that matches your machine's architecture (32-bit or 64-bit); the static variant works fine for this process. In this example, I downloaded the ImageMagick-6.9.3-5-Q16-x64-static.exe installer and ran it. I changed the install path to C:\ImageMagick\ as a personal preference so that it is a short path with no spaces and within a writable location. You should then see a few lines of information about the currently installed version of ImageMagick—this means it is ready to roll! If you attempt to run this command in a write-protected directory, you may instead get the message "Invalid drive specification." Don't fret, this still indicates that the ImageMagick library is installed successfully. If you instead get the message that "'convert' is not recognized as an internal or external command" when running the above command, you will need to add the base path (i.e., c:\imagemagick\) to your environmental path. With all that headway taken care of, all that remains is to present my batch file script. You will want to copy the contents below into a new text file, and save it as "Images.bat" or whatever you prefer. The batch file should be placed in the base directory where you wish to store all eBay photos on your computer (i.e., C:\ebay\). Make sure, when saving, to wrap the name in quotes to ensure that the extension is not overwritten (especially important if using Notepad). Important: See below the script for initial setup details. set /p FName="Base Photo Name: "
FTP Details: Your FTP host, username, password, and directory to navigate to once connected before uploading images (the directory must already exist). Note that since this is stored in plaintext, you may wish to create a custom FTP account through your host and restrict its access to the ebay pictures folder, and use those account credentials here. Image Prefix: The first few letters or numbers that your camera prepends to each image (i.e., DSC). Image Width: The width, in pixels, that the image should be resized to. This depends on your HTML template but should never exceed 1390px as that is the maximum available space eBay provides for the description content (1460px body - 70px padding). When you launch the batch file, you will be prompted for a Base Photo Name. This should reference the item in a few unique letters to ensure no conflicts arise when uploading to the server (i.e., alarmclock). The script will then name the images accordingly (i.e., alarmclock-1.jpg, alarmclock-2.jpg). After entering the base photo name, hit ENTER and the rest should be automated! At the end, the HTML image tag code will already be copied to your clipboard and ready for insertion into your favorite HTML template or directly into the eBay description field. Delayed expansion is disabled and enabled a couple times in the script to best handle different types of variables and operations. The images are temporarily renamed to *.tmp during processing to prevent conflicts with previously stored images in the same directory; if you are using the script to process multiple photo sets on a single day, this ensures no file overwriting or redundant processing. The ImageMagick tool Mogrify is used to enhance and optimize the images. I apply the "normalize" filter to improve visual contrast and brightness, but you can experiment with others such as "auto-levels" for differing effects. A temporary text file is created in the current picture directory named html.txt that stores the generated HTML image tags with the uploaded image paths. This data is copied to your clipboard automatically by the script, but the file is preserved so that it can be accessed in the event that you copy something else to your clipboard before pasting the data. You can uncomment line 133 (del html.txt 2>NUL) if you'd wish for this file to be deleted automatically. The FTP functionality creates a temporary secondary batch file for queuing the FTP login, navigation and uploading commands. This file is deleted automatically on finish. The script presented above generates the bare-minimum HTML required for inserting full-sized images into your custom HTML template. As-is, this method will display the images at their original dimensions (as defined via the imagewidth declaration and up to 1390px wide on eBay) regardless of the user's screen resolution or platform. This means that on mobile devices–where the user may only have a 320px wide viewport–the page contents in their entirety will be shrunk down on most browsers, resulting in the microscopic text effect seen often on non-mobile optimized sites and forcing the user to zoom-in and scroll horizontally. At the top of your template code, add styles for the image container and item images. The .imgContainer styles ensure that it will not exceed 100% width and also put in basic center alignment properties so the images will appear centered on-screen. The .imgContainer img styles specify a 100% width and auto height so the images will scale to full-width while retaining their original aspect ratio. I also add some general styling to give the images soft corners, a shaded border and other basic attributes. If you do not want to scale-up any images beyond their original size, change the width parameter to max-width. With this modified code, assuming your overall template container (either a TABLE or another DIV) also has a width property of 100%, the images will then scale appropriately depending on the user's resolution. 2016/03/20 Edit: Added a blurb about converting the generated images into a responsive format to ensure proper rendering on mobile devices. ← Windows XP Drivers for NVIDIA Geforce GTX 970, 980, 980 TI and Titan X, say what?! What caught my attention was that not only the pictures in the body fill the whole width of the browser's window, but they also automatically resize when it's reduced. I'm using Firefox on a 1920x1080 laptop screen, and the photos in that listing seem to fill the whole screen's width (well, there's some padding of course, but still the pictures are well over 1390px wide). When I resize the browser's window and reload the page, the pictures are also downscaled. Anyway, those photos look pretty sharp at 1920px screen width, do you think they were originally uploaded as =<1390px wide and ebay just upscales them for higher resolution screens? Or is it possible that ebay now can properly display photos wider than 1390px? Hi Anton, I just added a short addition to this article about making the generated image code responsive. In the auction you referenced, they include a 100% width value within each image (and auto height), which scales the images to the boundaries of their parent container (in this case a table scaled to 100% of the available eBay ad space). So even if the images were just 640px wide, they would stretch to fill the available space. I personally prefer to manage this by inserting the image HTML code within a parent 'image container' and then styling them appropriately at the top of the template. This is the method I demonstrate in my amended post.